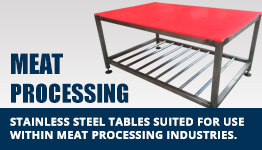 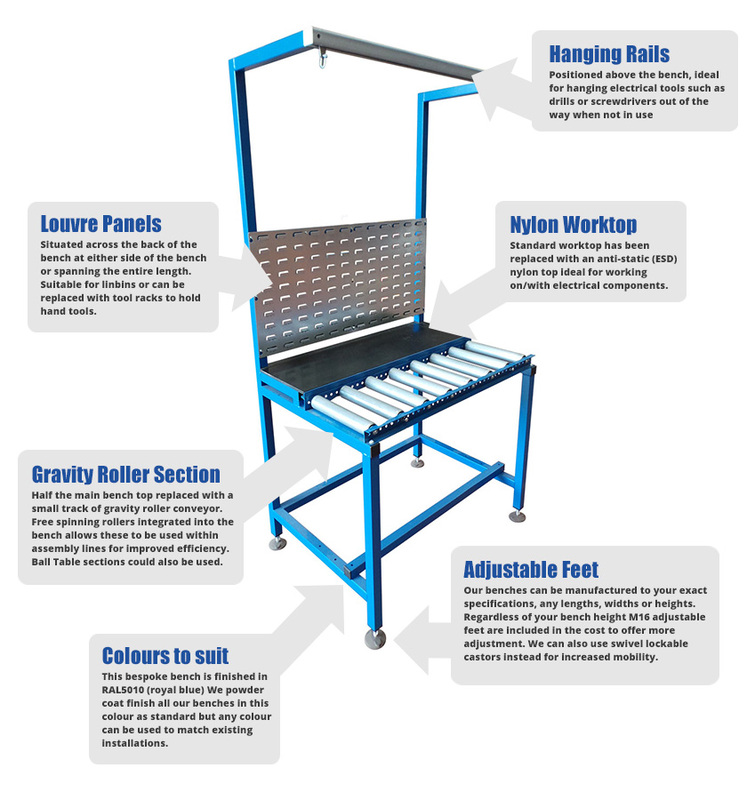 The addition of a well designed bespoke packing bench ideally suited towards your specific company requirements is an ideal way to reduce packing and assembly times and improve quality and consistency within process. 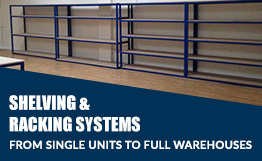 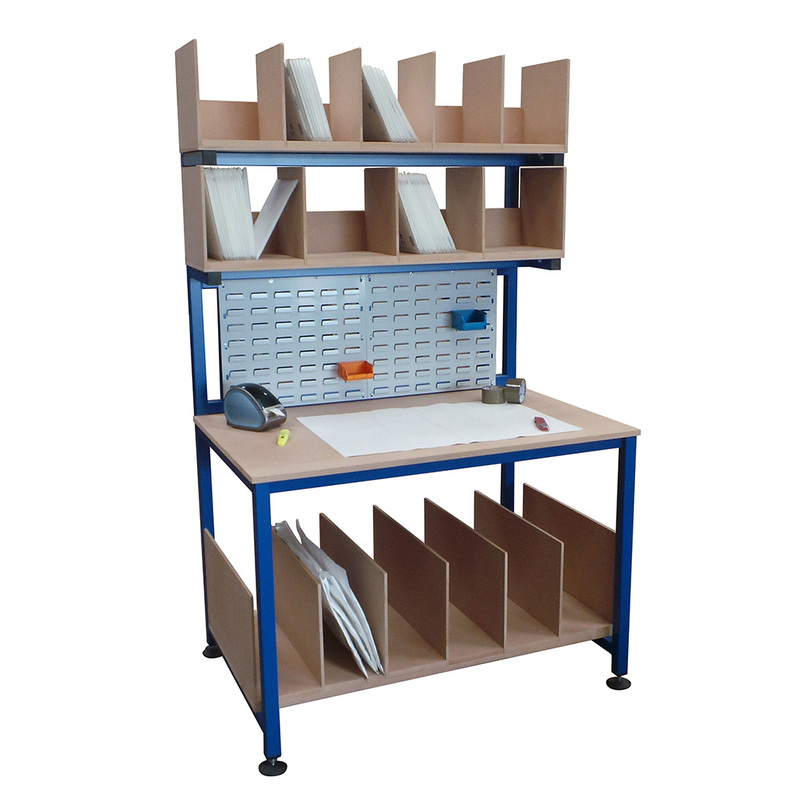 Spaceguard works closely with clients and resellers ensuring the bespoke bench or system is going to deliver savings and has growth to be able to effectively cope during busy periods. 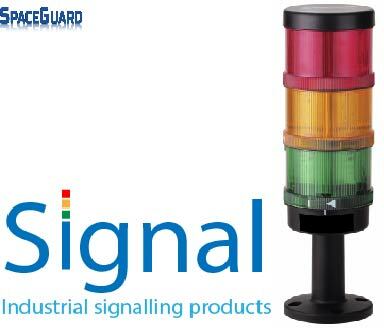 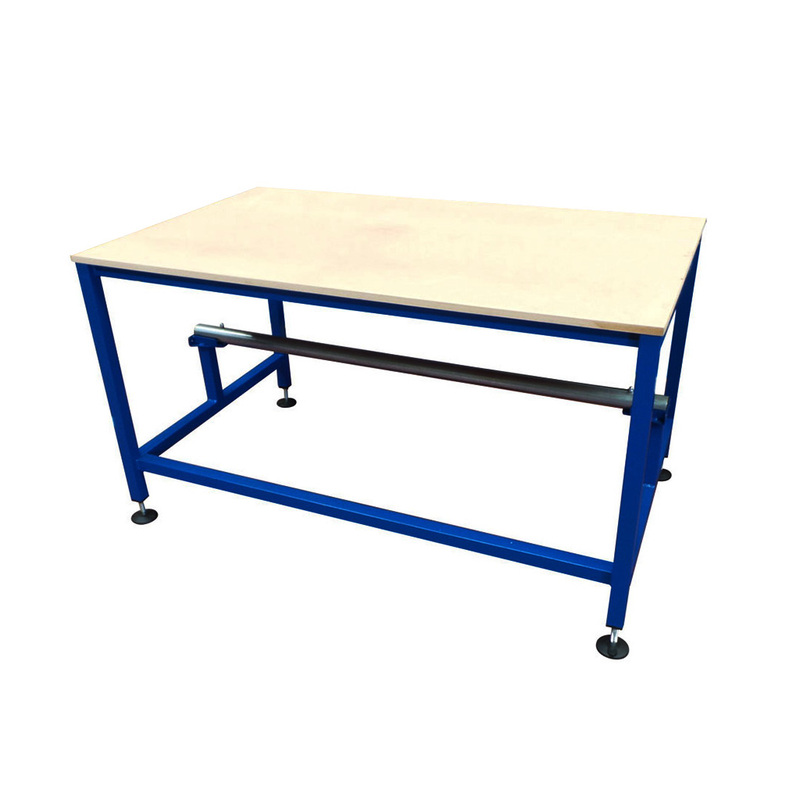 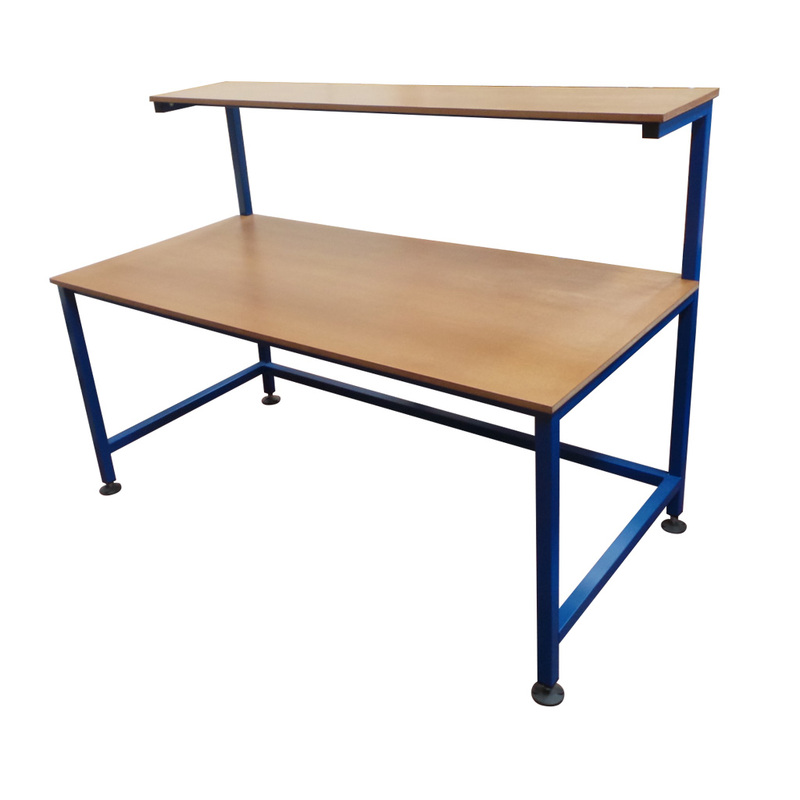 Where required Spaceguard is able to look at the process, manufacture and supply, benches, workstations which include process accessories, conveyors and other automation equipment. 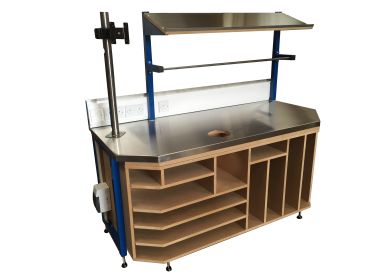 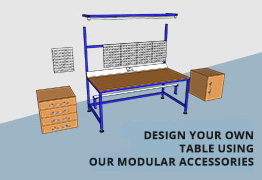 With options for storage, electrics and IT Spaceguard always aim to deliver bespoke packing bench which far out way the functionality of a standard bench, and deliver real benefits. 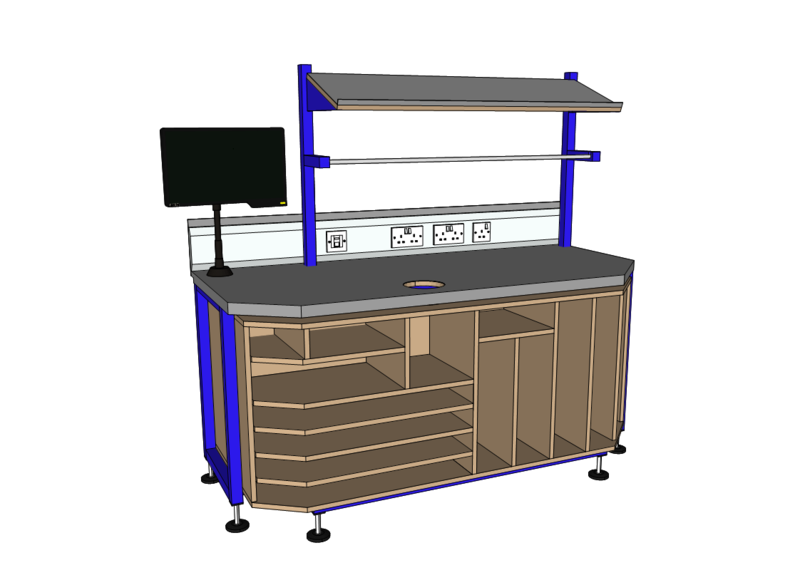 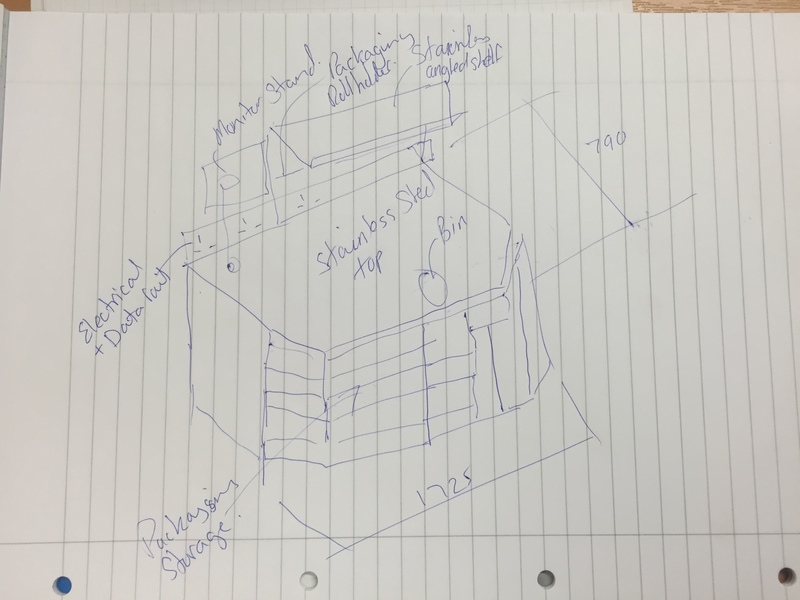 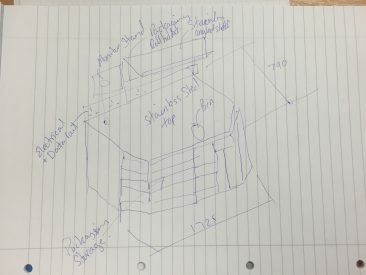 From customer site sketch of concept requirements, 3D modelling prior to production is the ideal method to ensure the concept is suitable, through to the full production table. 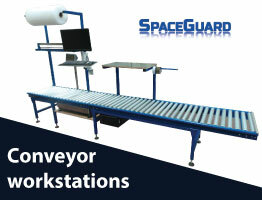 Spaceguard works with our customers to ensure the bespoke workstation is fulfills the expected customer requirements.